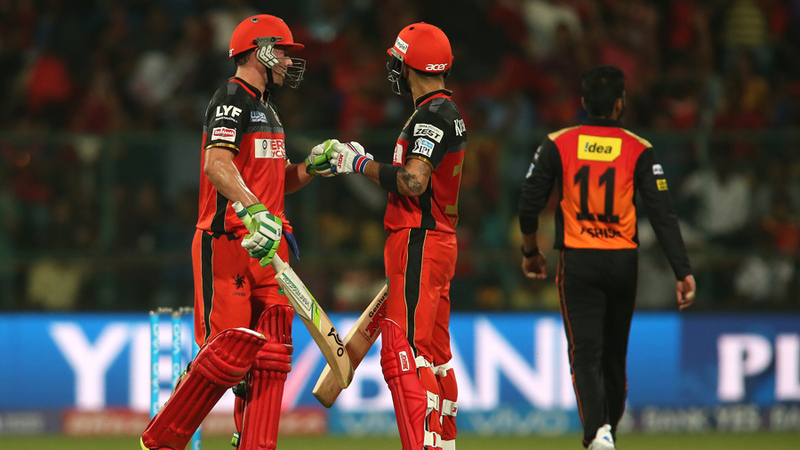 The sleeping giant that was IPL 2016 sprung to life in a high-scoring clash. 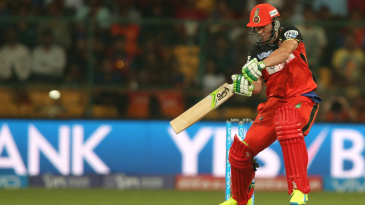 Royal Challengers Bangalore blasted the first 200-plus score of the tournament in an emphatic 45-run win over Sunrisers Hyderabad at the M Chinnaswamy Stadium in Bangalore. In doing so, they also bucked the season's early trend of chasing teams prevailing. AB de Villiers (82) and Virat Kohli (75) provided a visual treat courtesy a fine cocktail of fineness and brute force in a 157-run second-wicket stand, before Shane Watson announced himself by muscling three successive sixes. The final flourish was lent by Sarfaraz Khan, who in his typically unorthodox fashion, paddled and reverse-paddled his way to an unbeaten 10-ball 35 as Royal Challengers finished with 227 for 4.